A wooden, metal, or plastic fence is a great investment for your property, but only if it is done right. That means getting talented, qualified fencing contractors to perform the expert work you need. Unfortunately, not all fencing contractors are created equal. There are a few things best kept in mind when looking for a contractor in order to ensure you get the one most suited to your needs. One of the bigger threats of looking for contractors—fencing or otherwise—is the presence of “fly-by-night” services. These are sketchy businesses that put minimal effort into a job and then seemingly vanish, leaving homeowners with little recourse. Fortunately, some basic research can not only weed out bad apples, it can also let you make a better decision among legitimate candidates. Assess their website. It should be presentable and professional without generic text or blatant grammatical flaws. If a company doesn’t care about how they present themselves to the world, how can they be expected to care about getting your fence done right? Check the Better Business Bureau (BBB). Not all companies are registered with the BBB, but if your candidate has wronged a customer in the past, then there should be a record here. Ask around. If possible, consult a friend or someone you know who has hired the company before. You can also call the company and ask for a reference, but be sure to check out the site yourself to confirm the quality of the work. Not all fencing contractors present or handle themselves the same way and some might make genuine mistakes in how they interact with people. However, there are a few things that don’t deserve benefit of the doubt and should raise immediate red flags that suggest you go elsewhere. Impersonal voicemail message. Not all contractors will have someone on hand to take your call, but those that do should have a personalized voicemail that clearly states the name of the company. This is more important than you may think since some fly-by-night contractors are really just DIY individuals who want to make some extra money. No written estimate provided. These are extremely important for confirming terms of work and can be valuable when you need to verify what services are and are not performed. They pressure you or only accept cash. Walk away immediately if you experience this with a contractor. At best, this is unprofessional and poor customer relations. At worst, it’s the sign of a sleazy contractor. When you think you have a viable candidate and arrange an inspection and estimate, do pay close attention. This is effectively a job interview for the fence contractor and they should act accordingly. Verify availability. Do they offer times that fit within their schedule without long waits? Smaller contractors can have trouble managing multiple jobs at once so you should weigh this fact against their potential service. Monitor punctuality. Do they arrive on time or call ahead if they’re going to be late? Sometimes being late is beyond our control, but that’s no reason not to call ahead and let you know. Not calling ahead is a big red flag since it shows a lack of respect for the customer’s needs. Test expertise. Ask questions to assess their expertise. 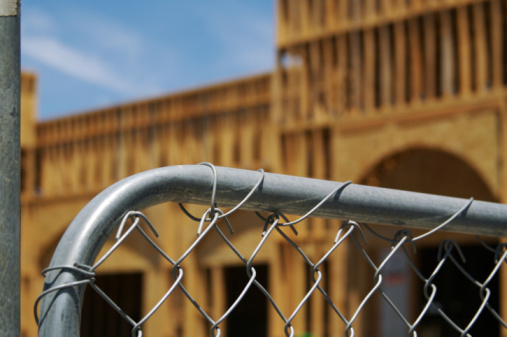 If the contractor recommends a certain fence material, make sure to ask why. Enquire about procedure, warranty, maintenance, and work history. Get clarification. If you don’t understand something they say, ask for clarification. Not everyone is good at making themselves understood right off the bat, but a contractor shouldn’t be unwilling to help you comprehend what they mean. It is in their interest for you to know how they can help, after all. A useful tip for choosing a fence contractor is to go with one who can actually meet your needs. This sounds obvious, but it isn’t always. The part to keep in mind is that not all fencing companies share the same specialties and supplies, so all of their recommendations will be framed from the viewpoint of what they know best—not necessarily what meets your needs most effectively. You don’t have to become a fencing expert to use this tip, but try and keep the underlying purpose of the fence in mind. Are you looking for something to keep children and pets safe in your backyard? Do you want to make your property look nice (or hide an unsightly view)? Do you want privacy or security to deter trespassers? The answer will help narrow down your need. Do not be afraid to inquire about your candidate company’s warranties and insurance practices. A good, reputable fencing company will be willing to honour the manufacturer warranty on any materials they use. Additionally, the fencing company may offer its own warranties on the workmanship of the installation. Your fencing contractors should also carry personal liability insurance and workers’ compensation insurance. Checking for these two is especially important since, as the homeowner, you may end up on the hook if the company lacks insurance and a worker is injured on the job. Finding a local fence contractor can get you a personalized level of service that is hard to obtain from other sources. The reason for this is often a matter of simple pragmatism: local companies are more reliant on reputation and word-of-mouth, so they have extra incentive to deliver quality results and workmanship. A less cynical way of putting it is that local companies, being members of the community themselves, take a more active interest in clients that goes beyond simple business arrangements. Fortunately, finding a local company is as easy as putting “fence contractors near me” into Google. This was touched on briefly earlier but it bears more specific mention. Never take a fencing company at their word when they describe themselves, their work ethic, or their past performance. Always ask for references, including visuals and contact information. Take the time to either drive out to the site itself for your own inspection or call up the reference to see what their experience was like. You shouldn’t be worried about appearing rude when you do this, either—checking references is an important part of due diligence. If the company seems surprised that you checked up on it or if the references aren’t okay with you contacting them, either can be considered a warning sign. After all, if the company didn’t expect you to check the references, why did they provide them? If the company didn’t make sure their reference was okay with being contacted, what else might they overlook? Total Fence Inc. is one of the top fence installation contractors in the Greater Toronto Area. Our experts can walk you through the ins and outs of fence maintenance and repair. Contact us at 416-239-5362 to speak with a consultant and learn about how we can make you a wonderful fence for any yard.